Performing Arts thrive at Genesis Christian College with many opportunities for students to immerse themselves in music, acting, dancing and more. With our own state of the art Performance Theatre, professional dance studios and extensive music rooms, our campus provides our student performers with the best facilities from which to grow their talents. 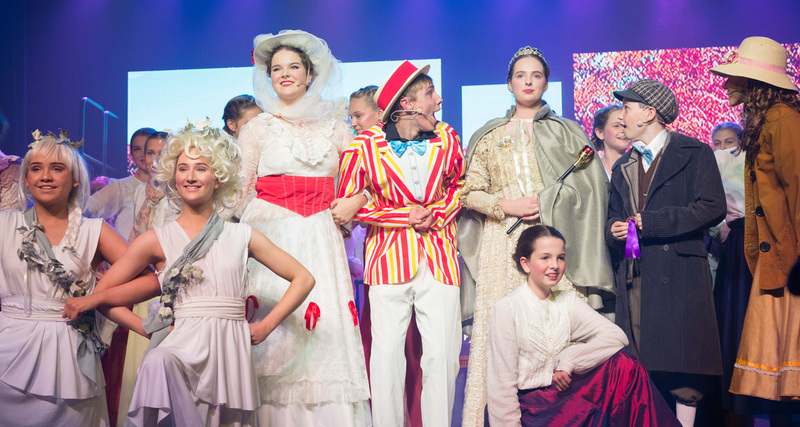 School musicals are performed biannually and provide wonderful opportunities to showcase musical, acting and dancing talent in our school. Students audition for a place in the cast of each musical and participate in intensive rehearsals throughout the first semester of the school year. Our next musical will take place in Term 2, 2020. Consisting of dancers ranging from Years 7 to 12, the Genesis Christian College Dance Company is a performance troupe that represents the College at a diverse range of school-based and community-based events such as Danc’Ed in the Spotlight, the Ekka and Dance Showcase. They also compete at various competitions and eisteddfods throughout the year including, Sunshine Coast Eisteddfod, Brisbane Eisteddfod, Brisbane Performing Arts Challenge, Australian Pinnacle Dance Challenge, Beenleigh Dance Eisteddfod, Get the Beat and Dance Life Unite. Every year since 2015, the Dance Company has qualified for and competed at Nationals in Sydney for Dance Life Unite. They train after school, one afternoon a week and some weekends. Show Choir is an all-singing, all-dancing performance troupe. 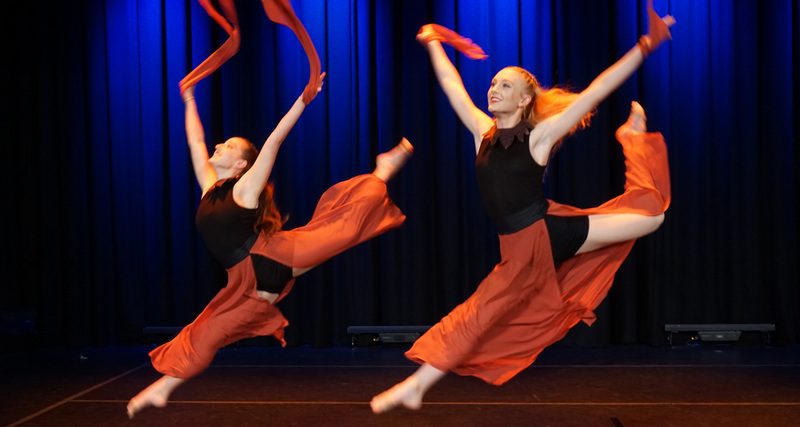 The students rehearse during two lunch times per week and perform at various school-based and community-based events such as the EKKA, the Genesis Festival, Dance Showcase, Pine Woods Aged Care Facility, Mid-Winter Melodies and more. A Night At The Theatre is the annual Drama performance night, in which all Secondary School Drama students have the opportunity to perform. Held mid Term 3, this evening event takes on a different theme each year and showcases the high quality work produced by students in the Drama department. This music evening features a wide variety of musical items, including choirs, instrumental ensembles and performance groups. Primary and secondary students are involved in this exciting evening of music performance. Dance Showcase is the end of year concert for all curriculum based and extra-curricular Dance students. Featuring a wide variety of performances from the national award-winning Dance Company, Show Choir, Movers and Shakers and all Secondary Dance classes, the evening is jam-packed and showcases all there is to offer in Dance at Genesis. Dance Camp is held annually for all Dance Company and Show Choir students. The three day trip is held at YMCA North Pine and includes intensive rehearsals, preparation for performances and community building. The USA Arts Tour is an exciting opportunity for all Years 9 to 12 students (in 2019), to enhance their arts education. The tour will take place biannually, with the next trip booked for November/ December 2019. All students with an interest and passion in any area of the arts are invited to apply to attend the trip. They will have the opportunity to go and see live performances, attend a Gospel church service and attend participate in specialized workshops such as special effects, dance, musical theatre, media, behind the scenes. The tour will also incorporate sightseeing opportunities such as the Statue of Liberty, 9/11 Memorial, Empire State Building, ice skating in Central Park, as well as multiple public performance opportunities. The purpose of this tour is to challenge, extend and inspire students in their arts endeavours, whilst giving them new cultural and educational experiences, outside of the classroom. All students who have a passion for the arts and travel are invited to apply for a place on the team.